Pinarello, famous Italian bike manufacturer made another special version of their admiral ship, Pinarello Dogma 65.1 Think2: Polka Dot (King of the Mountains) tribute edition. This year, a 23-year-old Colombian, Nairo Quintana of Movistar won Tour de France King of the Mountains (KOM) polka-dot jersey on a Pinarello Dogma 65.1 Think2 (he also won the Best Young Rider classification: this double was the first in history). With that special edition, Pinarello celebrated the polka dot jersey. After last years’ Tour de France victory, Pinarello Dogma also won its second consecutive Tour de France with Chris Froome of Team Sky. 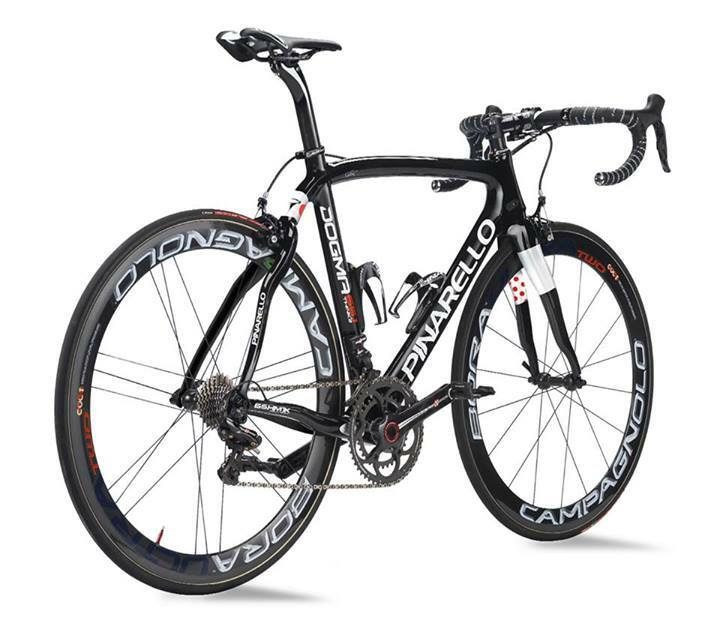 Previously, Pinarello also made a special edition for Giro d’Italia 2013 and another special edition for Campagnolo 80th anniversary groupset.